Two winning books in one volume. How can you improve at chess? This is the eternal question asked by players of all levels. Which part of the game should you focus on? How often should you play? Should you change your opening repertoire? What's the best way to learn from your defeats? So many questions ... and yet direct answers are hard to find. In this book Grandmaster Nigel Davies provides that direction. He examines the methods used by a number of players who were looking to improve their game, and how they went about achieving their goal. He has drawn heavily on the games and thoughts of players who have been his students over the years and experienced a clear improvement in their play. 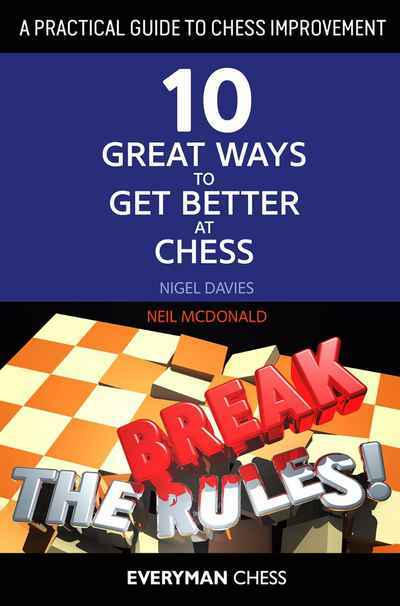 In this instructive book, Grandmaster Neil McDonald studies in depth the key components of successful rule-breaking in chess. As we progress as chess players we quickly learn a set of guidelines which help us to formulate plans, develop typical strategies and recognize key tactics. However, chess is not an easy game, with fixed 'rules' that can be applied to every single position. In fact, blindly following such rules proves to be counterproductive and prevents a player from moving on to the next level, whereas knowing when to 'break' these rules is precisely the skill which separates the best from the rest.